Finns have their own quirks like every nationality. For me, this blog post was hard to write because there were so many topics already covered in previous posts. However, I found some topics to write about. Need for private space is very obvious. Finns don’t want to get close to strangers so if there is space, it gets evenly filled. In a student restaurant, for example, we don’t go to sit opposite to a stranger. An unwritten rule is that we always leave at least one or two empty chairs in between whenever possible! In case of a smaller table with only four chairs we maximize the distance by leaving the nearest opposite chair to the stranger empty. This way we avoid looking the other person straight in the eyes which would be uncomfortable. The attached simple illustration tries to show this need for private space. Circles are chairs. Black circles represent occupied chairs. Modesty shows in many ways in Finns behaviour. There is always someone better than us for doing a task. For example, when inviting guests to your place and serving food for them, it’s common to say that “I hope this is eatable” etc. It means that the guests could probably cook better than us. Another example is when you’re going for a date with a Finn. Please start discussing about your mutual interests instead of stressing to what you can do the best even when you’re very good at it. As a professional ice hockey player you should try to downplay your abilities, at least a bit. Of course, I’m now generalising all this. Not all Finns are what I just wrote but sometimes you have to do stereotypes. 10% of Finland consists of lakes, rivers and ponds, and 78% of the country is covered in forests. Originally, almost one third of Finland used to be swamp area, Hence the name: Suomi, which roughly translates to swamp land. It only makes sense that Finns highly respect and value nature. I spent my childhood in a small town in the countryside where they not only teach kids biology but also encourage, or force them outside to actually get to know different plants, animals etc. Even in wood crafting classes we make homes for birds. In winter we sometimes went ice fishing on a nearby lake during gym classes. 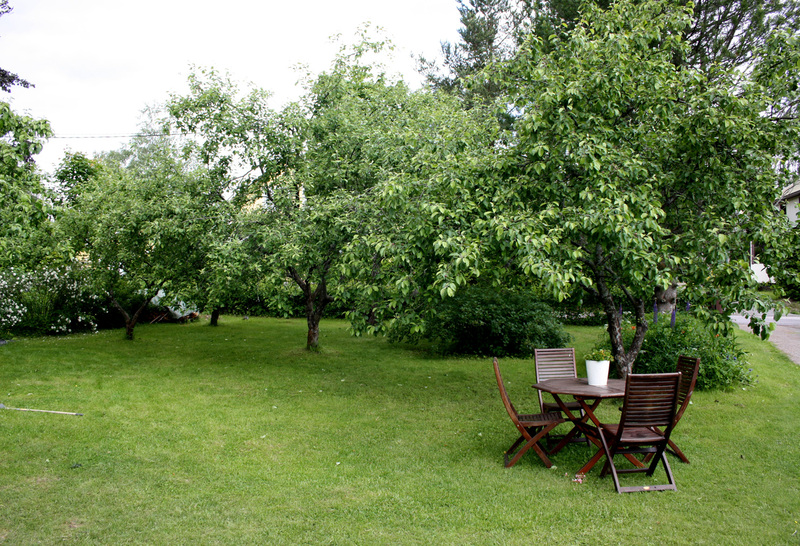 Finnish cities have lots of trees, bushes and plants everywhere. There are quite a lot of parks too even though you don’t need to venture far from any city to find forests and “proper” nature. In the countryside towns and areas most people have at least some kind of gardens that consist of apple trees, blackcurrant shrubs, flowers, vegetables among tons of other plants. People like to live and be surrounded by at least a bit of nature. Finnish love for nature has a history too. Like in many other countries, nature was worshipped in Finland. In Finnish mythology each part of the nature (water/lakes, forests, thunder, underworld etc.) has it’s own deity. Furthermore, forests were believed to be homes to wisps, elves, and other mysterious and even scary creatures. Nowadays the believers of the “old gods” or that pagan religion are very few but the respect for nature hasn’t gone away. Forests in the early autumn are swarming with berry pickers desperately trying to find the best blueberry and lingonberry locations. A bit later come the mushroom pickers. People go jogging in the forests and almost all Finns know how to swim which is easily taken for granted. One could say we are really proud of our nature. Despite being proud of many things, especially things that are recognised world wide, Finns tend to be really humble people. Many Finns lack the skill of being proud about themselves in public since it’s easily considered as narcism or bragging. If we are given something the first things we say are something like: “Oh you shouldn’t have brought anything!” or “I really don’t need anything”. If kids are given money as a present they’re taught to offer it back first telling it’s too much – or at least I was. But the modesty of Finns isn’t as simple as it seems. It is true that we don’t want to look bad and we tend to stress a bit too much what others think about us, but the other reason for modesty is that we respect people who have done us something good (a compliment for example) and highly appreciate anything someone’s given us. Nothing is taken for granted. And the Finnish way to do this is to kind of like decreasing their own value in order to increase the complimenter’s. If that makes any sense. In a nutshell, Finnish modesty comes from deep appreciation and respect towards someone who’s done something good to us. It’s not like we feel bad about ourselves and think we don’t deserve anything.